Compton, California (March 14, 2016) – 4 Wheel Parts, the global leader in aftermarket performance products and accessories for 4x4s, trucks, Jeeps and SUVs, announced today the renewal of their multi-tiered partnership with Lucas Oil Products and the Lucas Oil Off Road Racing Series. 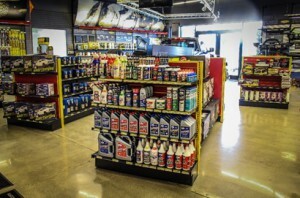 The agreement is comprised of 4 Wheel Parts being named “Official Off Road Parts Retailer” of the popular short course off road racing series, the expansion of their successful “Youth Ticket Program,” along with a dynamic Lucas Oil Products marketing and promotional effort in all seventy-four North American 4 Wheel Parts retail store locations. The pact for the longtime partners comes as 4 Wheel Parts continues an aggressive national expansion while Lucas Oil continues to solidify itself as the premier destination for grassroots motorsports with the recent launch of its signature Lucas Oil Racing TV online network. 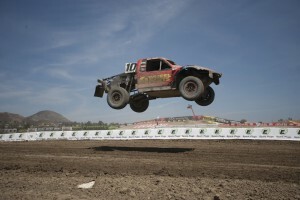 With their 16-round season set to kick-off on March 19 in Chandler, Arizona, the Lucas Oil Off Road Racing Series has well established itself as the preeminent short course off road racing series in the nation. 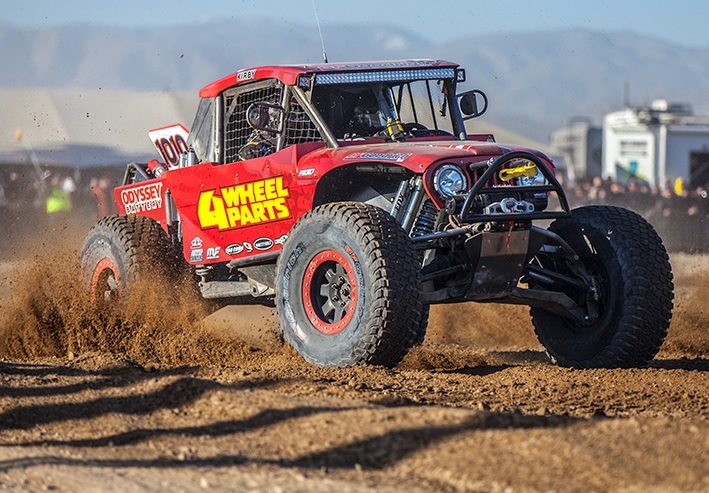 4 Wheel Parts’ corporate message of “Life is Better Off-Road” is personified by President and CEO, Greg Adler as he prepares to challenge for a championship in the series’ marquee Pro 4 division. This season, 4 Wheel Parts will once again partner with the series in distributing complimentary tickets to youth under 12 years of age throughout the regions where short course off-road events will be held. The free youth tickets will also be available at participating 4 Wheel Parts stores. 4 Wheel Parts will also be bestowed the official designation as a series sponsor in addition to the being recognized as title sponsor of the year-end, season finale at Chandler’s Wild Horse Motorsports Park in October. Chandler, Arizona will welcome the Lucas Oil Off Road Racing Series for its season opener March 19-20 followed by 14 rounds of racing as the series visits California, Nevada, and Ensenada, Mexico before returning to Arizona for the season finale October 22-23. You may view the complete 2016 schedule at LucasOilOffRoad.com. The Lucas Oil Off Road Racing Series is the evolution of the long-standing support of short course racing by Forrest Lucas and Lucas Oil Products. Steeped in the Midwest tradition of short course off-road racing infused with a West Coast influence, Lucas Oil Off Road Racing brings intense four wheel door to door action to challenging, fan-friendly tracks. Lucas Oil Off Road Racing Series: This is Short Course. For more information please visit www.LucasOilOffRoad.com. 4 Wheel Parts is the global leader in truck, Jeep, SUV and off-road performance products. With 74 locations across the U.S. and Canada and growing, 4 Wheel Parts Service Centers install all the products they sell. Maintaining the nation’s largest inventory of off-road tires, wheels, lift kits and accessories, 4 Wheel Parts serves customers across the country and around the globe. Life is Better Off-Road™. 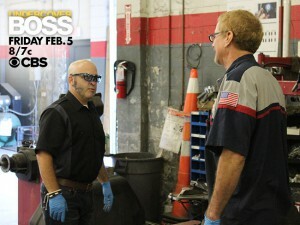 Visit them at 4wheelparts.com or call toll-free 877-474-4821. Compton, California (March 8, 2016) – Las Vegas is geared up for the Polaris Mint 400 off-road race presented by BFGoodrich Tires this weekend and 4 Wheel Parts is revved up for an exciting week of activities as an official sponsor. 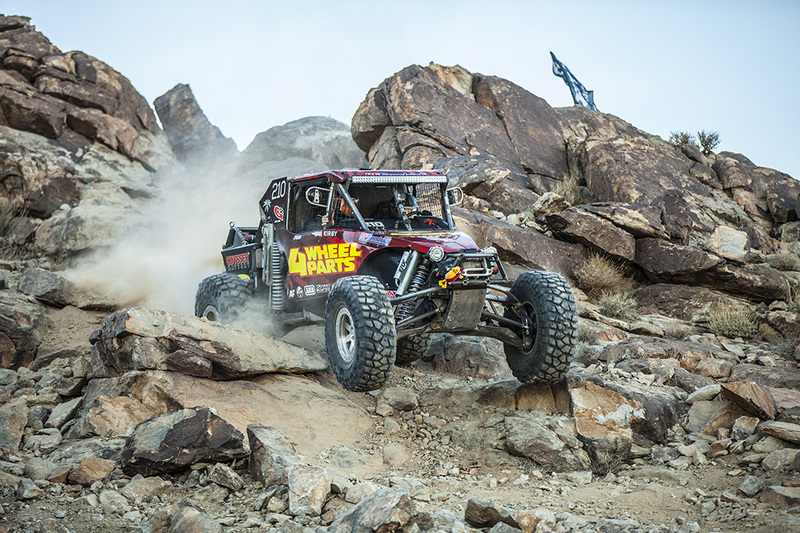 President and CEO, Greg Adler will represent Team 4 Wheel Parts in the grueling “Great American Off-Road Race” on the outskirts of Sin City as he campaigns his Unlimited Ultra4 car in the competition. The festivities kick off on Wednesday at 12:45 p.m. with the 4 Wheel Parts Vehicle Parade, as many of the race entrants including Adler’s Ultra4, will bring the thunder of over 75,000 horsepower down the famed Las Vegas Strip to Fremont Street. The green flag drops on the race itself on March 12 and features a field of over 350 of desert racing’s most prominent competitors. The Mint 400 has built a reputation for attracting thousands of enthusiasts to Las Vegas to join the hundreds of race participants, creating what has become the greatest spectacle in American off-road racing. For the drivers and teams, the weeklong event culminates in a desert battle where the attrition rate makes merely finishing the first step on the way to capturing one of the many coveted class victories. For Greg Adler, an experienced desert and short course competitor who raced in the Mint early in his off-road career, this Mint 400 represents his return to the desert as he brings his four-wheel drive Ultra4, purpose-built machine, normally reserved for King of the Hammers duty, to the open desert environment. 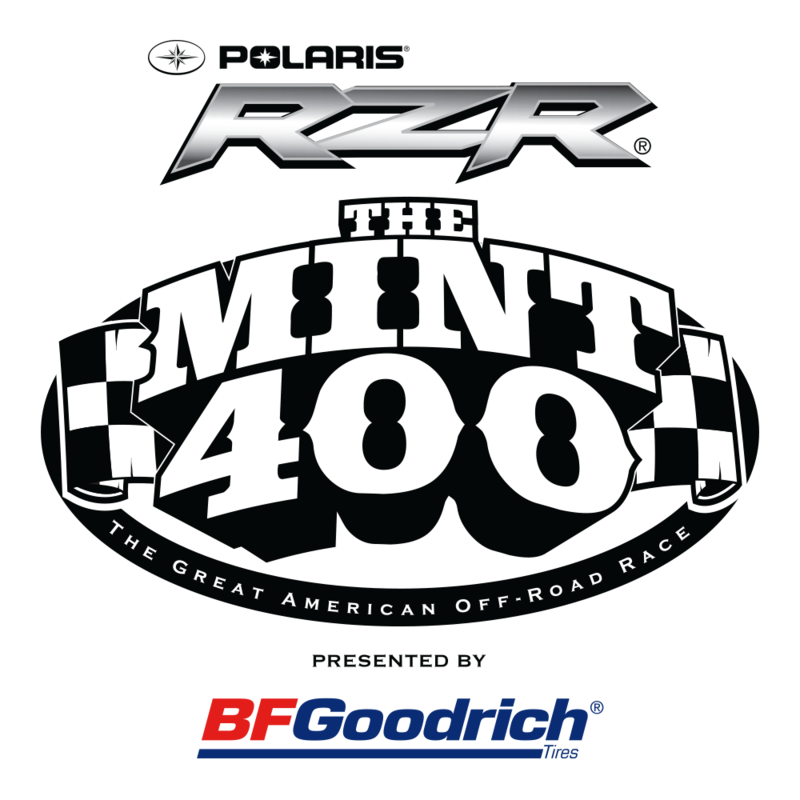 4 Wheel Parts is returning to sponsor the Mint 400 Vehicle Parade for the fourth consecutive year. 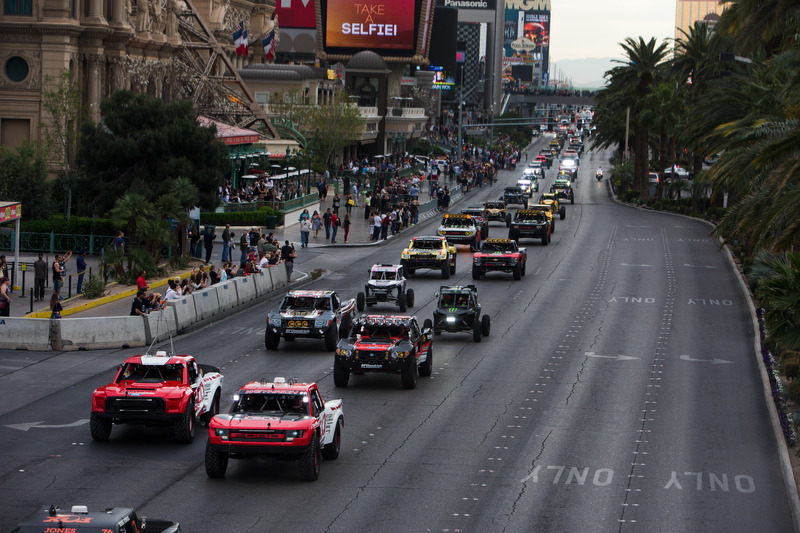 The 4 Wheel Parts Vehicle Parade down the world renowned Las Vegas Strip, will showcase some of the toughest off-road vehicles on the planet with a procession spanning 10 miles. Grand Marshal and off-road legend Rod Hall will lead the immense group of racecars past the Las Vegas crowds eager to catch a glimpse of their favorites. Time trials will be at 11 a.m. on Thursday, March 10 and teams competing in the Mint 400’s Pit Crew Challenge sponsored by Method Race Wheels will have a chance to qualify and contend in the finals on Thursday night at 7:30 p.m. On Saturday, the Limited Race starts at 6 a.m. with the Unlimited class racing at 12:30 p.m. The Awards Brunch at the Golden Nugget Hotel is slated to happen at 11 a.m. Sunday. 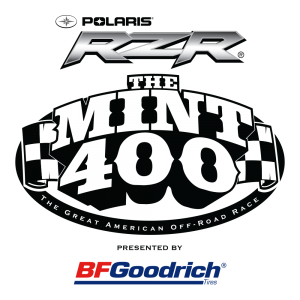 The Mint 400 began in 1967 and has established itself as a classic 400-mile battle between the world’s premier off-road racers. In 1988, after the Mint Hotel was sold, the race took a 20-year sabbatical until 2008 when it was restarted. Actor/director Steve McQueen, astronaut Gordon Cooper and power boat champion Bill Muncey number among the luminaries who have competed in past races. 4 Wheel Parts is the global leader in off-road truck, Jeep and SUV aftermarket performance products. With 72 locations across the U.S. and Canada and growing, 4 Wheel Parts Service Centers install all the products they sell. Maintaining the nation’s largest inventory of off-road parts and accessories including all-terrain tires and lift kits, 4 Wheel Parts serves customers across the country and around the globe. Life is Better Off-Road™. Visit them at 4wheelparts.com or call toll-free 877-474-4821.